Today’s complex challenges cannot be addressed in isolation — within any single discipline, approach, or lab. To live into our mission to enrich the future and challenge the present, we must collaborate across disciplinary and societal boundaries to develop research partnerships that leverage our broad excellence and to develop critical connections with communities. The University of Michigan has a long history of interdisciplinary research, enabling scholars to explore problems with multi-layered approaches that leverage a wide range of disciplinary knowledge and methods. 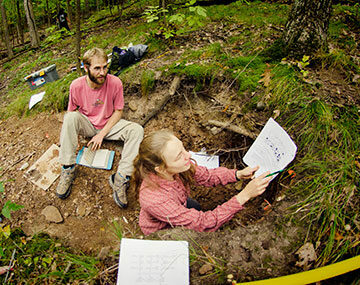 The University also has a renewed commitment to engaged learning and scholarship, leveraging mutually-beneficial collaboration between scholars and community members toward shared research outcomes in which both sides have a stake. Breaking down traditional silos that separate health professions and creating opportunities for collaborative and engaged learning across disciplines. Informing, identifying and testing new strategies for the prevention and alleviation of poverty in Michigan, the nation and the world. Addressing global sustainability challenges through education, research, operations and community engagement efforts. 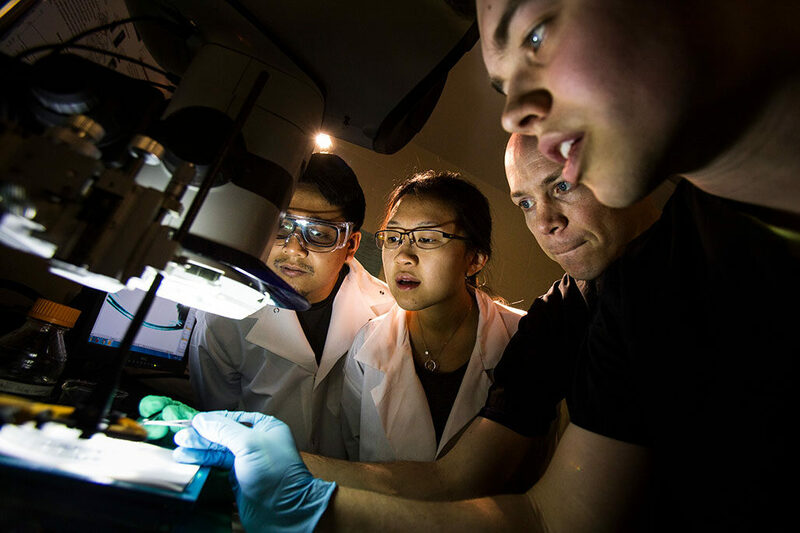 Biomedical Engineering Professor Tim Bruns (second from right) leads a group of students in observing the operation of the mouth parts of an Aplysia californica (sea slug). Slugs are commonly used in studies to understand and control how the nervous system works.